A new bird flu is discovered half way around the world. Thousands of wild birds have been affected, and it is only a matter of time before it begins to spread globally. 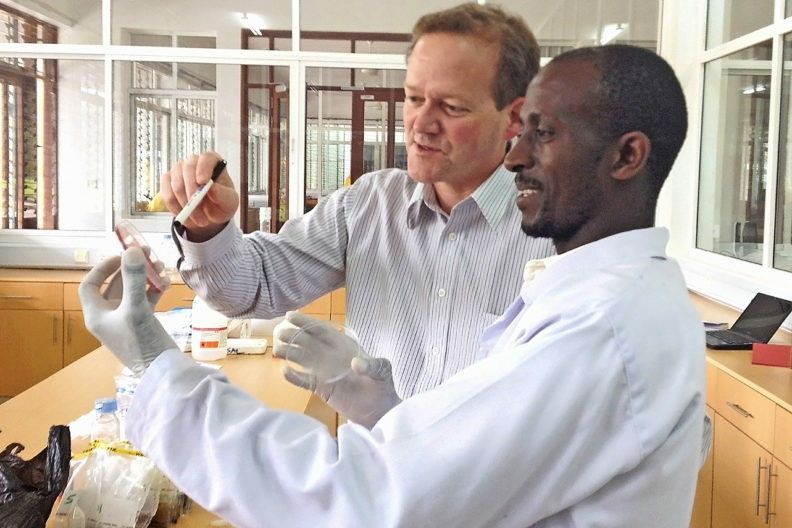 Scientists at the Washington Animal Disease Diagnostic Laboratory at Washington State University immediately begin developing tests to identify the disease, so if it appears in our region, they can detect it before an outbreak. Bacteria can do something remarkable. They can share genes. So, if one bacterium is resistant to a particular antibiotic, such as tetracycline, it can pass that resistant gene to another bacterium. That bacterium will become resistant and can pass its resistant gene to another bacterium. The MRI campaign is off to a great start! More than 200 faculty and staff at the college attended the MRI Campaign BBQ hosted by the WSU Veterinary Teaching Hospital in July. 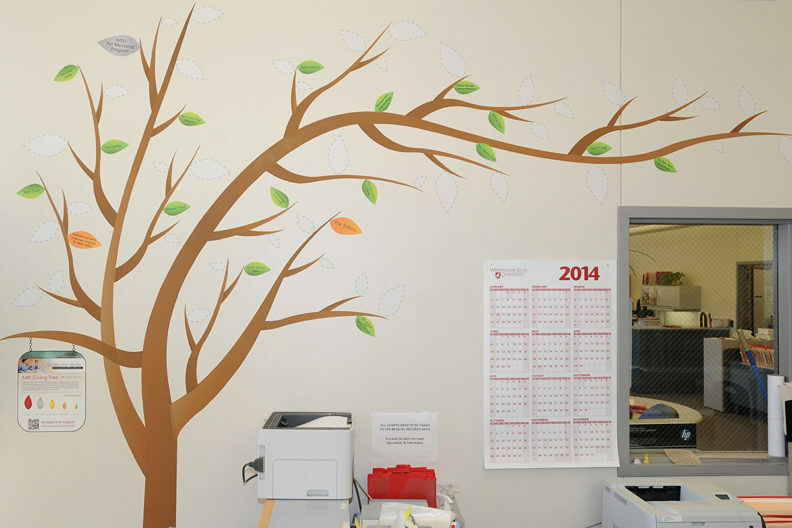 The MRI Giving Tree was placed on the wall and many generous friends added early leaves. Feeding our patients the very best nutrition got a whole lot easier thanks to a partnership between WSU and the Nestlé Purina Center for Nutrition Excellence program. 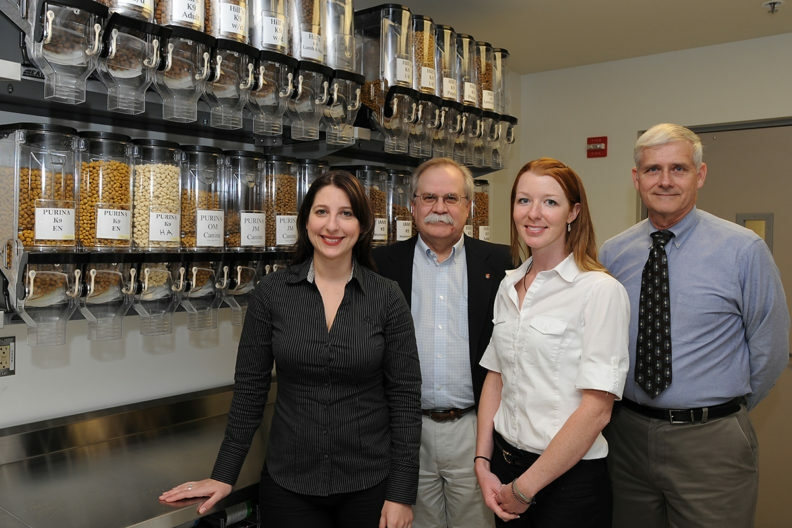 In the spring of 2013, the Veterinary Teaching Hospital received the stateof-the-art dietary kitchen thanks to a $70,000 gift from Nestlé Purina to the college. Bill Davis, associate dean for undergraduate education in the college, received a $500,000 grant from the National Science Foundation to improve undergraduate education in the life sciences. 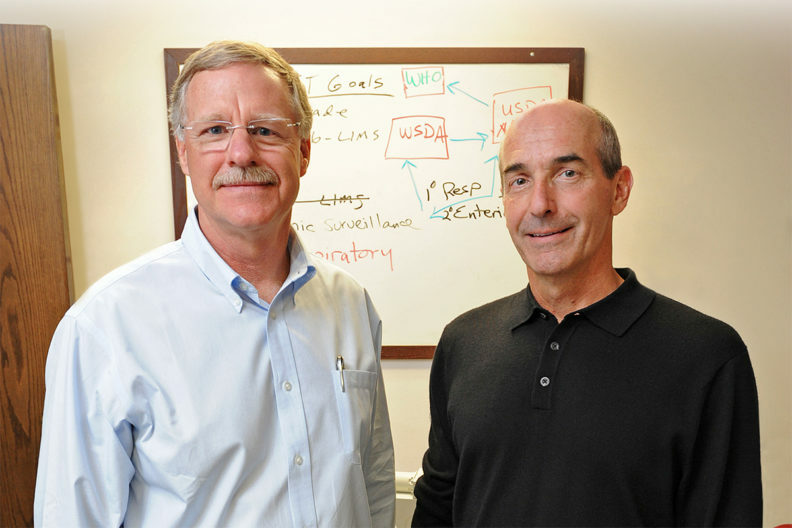 Terry McElwain has been appointed to the 15-member board of the newly created Foundation for Food and Agricultural Research that will advance the USDA’s research mission. I have been reflecting the past few days about what binds those of us who care about this college—your College of Veterinary Medicine. We recently held our annual Dean’s Reception and Celebration of Excellence in Seattle and had a great turnout of alumni and friends. I was struck by the diversity of connections in our extended college family among those in attendance.